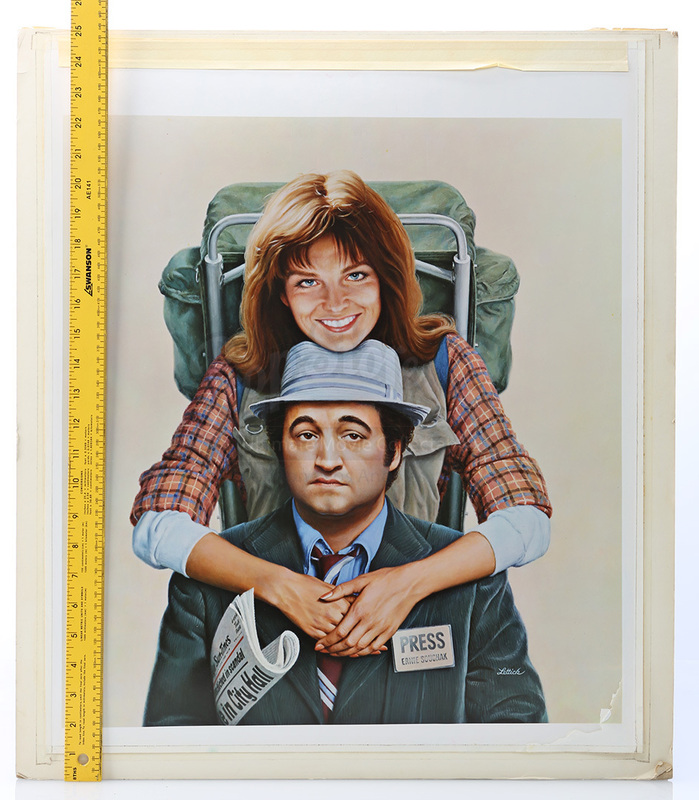 A proposed poster print from the 1981 romantic comedy Continental Divide. 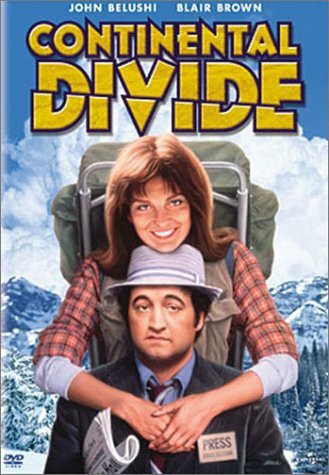 In the film, a Chicago journalist is sent to investigate an eagle researcher in Colorado and ends up falling in love with her. 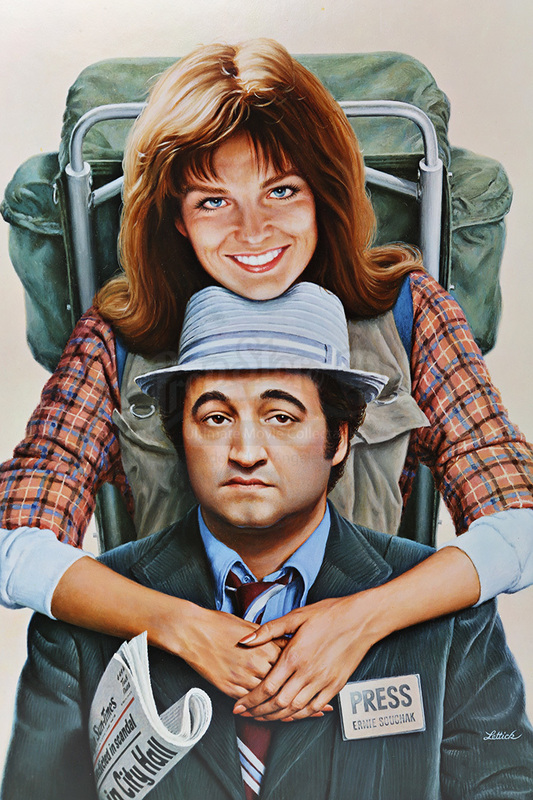 This print was made as a photographic presentation for the studio to approve of the poster art. 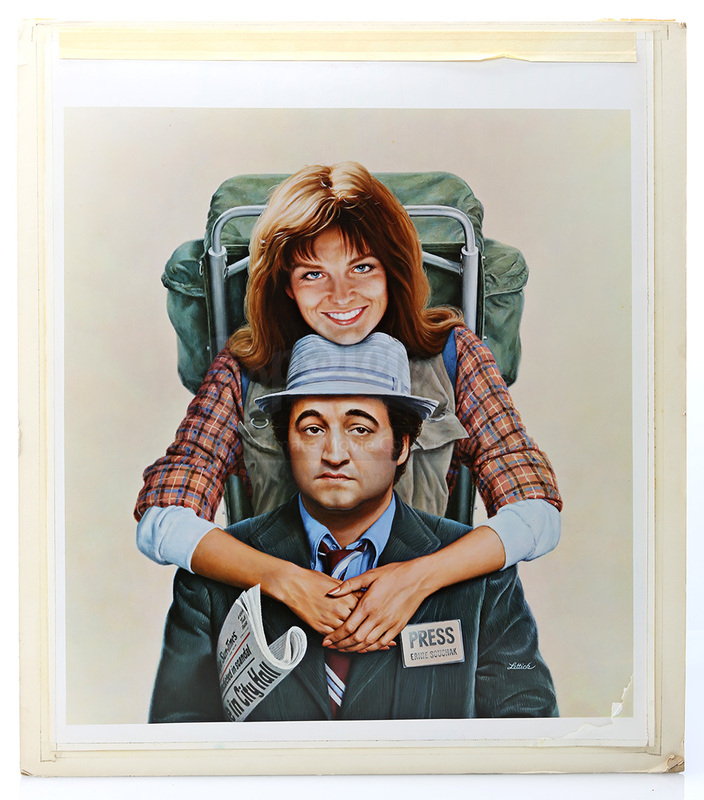 The print depicts journalist Ernie (Jim Belushi) and eagle expert Nell (Blair Brown). 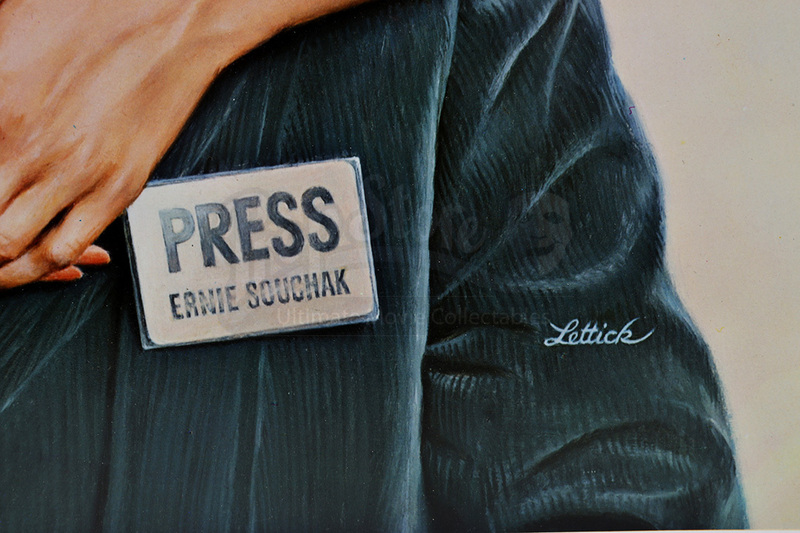 The piece has a tear in the lower right corner and the cover also has a tear, but the piece remains in good overall condition.